I spent yesterday’s afternoon cleaning and preparing my field boots for use this fall. Rugged boots, such as those designed for hiking, hunting, and outdoor work, need special leather care beyond what you’d use for dress shoes. There are many products on the market for this. I use Obenauf’s Heavy Duty LP. Obenauf’s LP was invented about twenty-five years ago by a firefighter named Marv Obeanauf. He sought to make something that would preserve and protect boots that were subject to heavy wear. The waxy cream he came up with nourishes leathers, restores lost oils, and protects boots from almost every element you can think of – water, heat, snow, salt, some chemicals, mildew, and even manure acid. To apply this stuff properly, you’ll need to first clean off your boots. 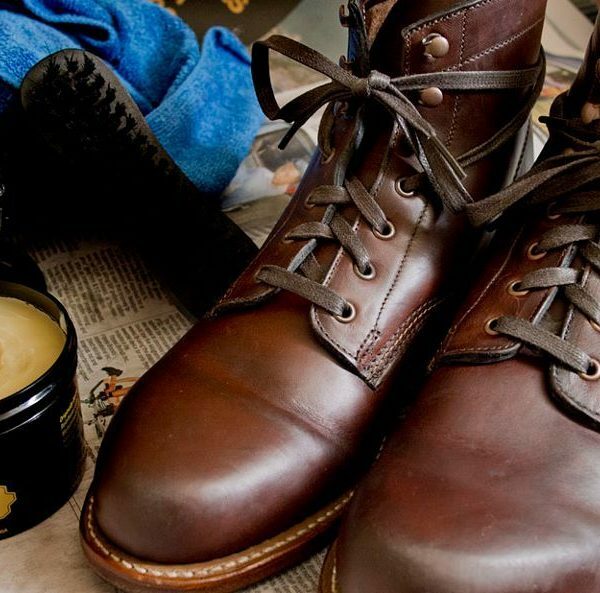 You can use saddle soap or Obenauf’s leather cleaner if your pair are particularly dirty. 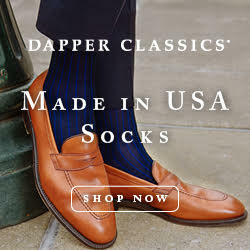 If they’re not, I find that regular Allen Edmonds’ Cleaner & Conditioner works just fine. Remove the laces, apply the cleaner, and hit the shoes with a stiff brush to get out any dirt or water stains. Then stuff your boots with newspaper and let them dry overnight. The next day, find a way to warm your boots so that the leather’s pores will open up. Some people stick them in the oven or place them near a heater for just a short period of time. I’m uncomfortable recommending that because of the high-risk of someone ruining their shoes, so I suggest just sticking them in a black plastic bag and leaving them in the hot sun for a bit. This should be enough to get the results you want. 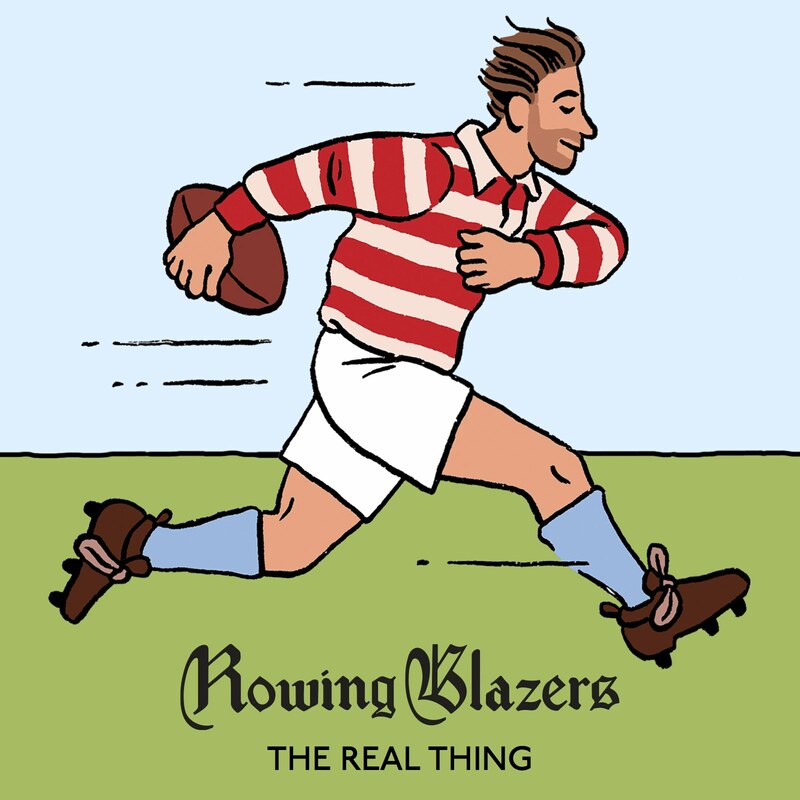 Once the boots are warmed, dig into the LP paste with your fingers and apply the stuff directly to your boots. The warmth from your hands will help melt the wax and let it be absorbed into the leather. You can get the dressing into the welt (the part that connects the uppers to the sole) by brushing it in with an old toothbrush. Once you’re done, insert some boot trees and let them dry overnight. If you’d like, you can buff them to a light shine the next day with a horsehair brush. The effects of this stuff are amazing. Just look at the change here on a pair of Clark’s Wallabees. 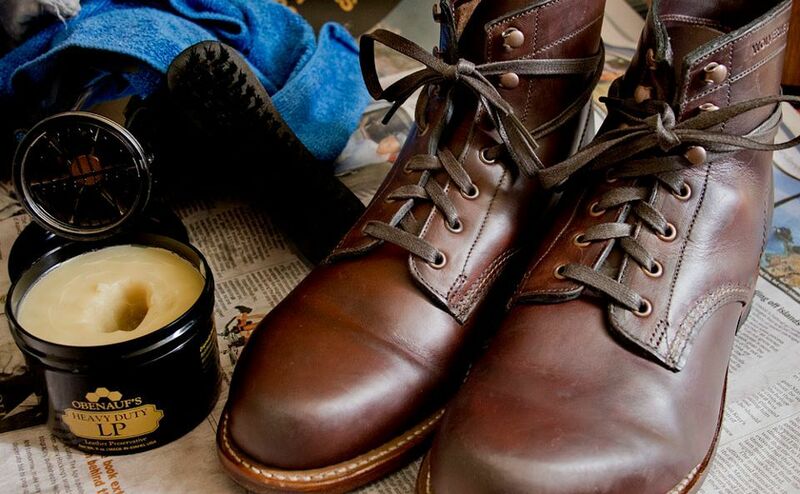 As soon as your boots look like they’re drying out, getting too scuffed, or becoming lighter in color, I recommend going through the process again. 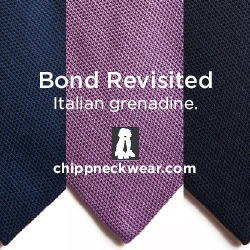 There are other good products on the market besides Obenauf’s. A combination of Saphir’s Dubbin and mink oil lotion, for example, can achieve the same effect. So can Montana Pitch Blend, which differs from Obenauf’s LP in that it contains mink oil and amber pine pitch. I haven’t used any of these, but Leffot tells me that Montana Pitch Blend leaves less of a waxy feel and is less likely to darken leather. I personally like the beeswax coating that Obenauf gives, but it’s a matter of personal preference. Figure out the ratio of nourishing oils and protective wax you find optimal. 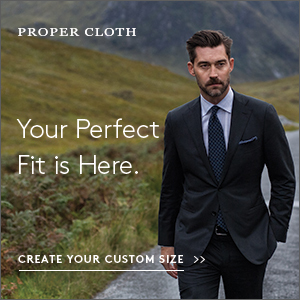 Note that all these products should only be really applied to shoes made from softer leathers such as Horween’s Chromexcel and other pull-ups. They shouldn’t be applied to dress shoes; otherwise you’ll have a hard time getting them to properly shine.